Fuel: The best petit dejeuner we’ve had yet – there was nothing “petit” about it! Croissants, yoghurts, baguette, coffee, muffins, hams, cheeses…if we didn’t have to move on, we would have stayed here for the rest of the trip! 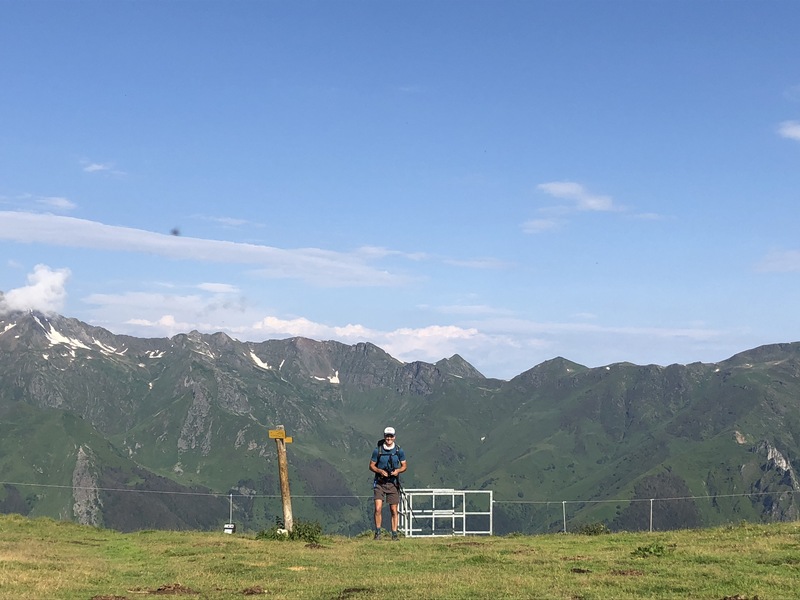 I’m not sure if it was the breakfast or the afternoon’s rest, but we stormed up the hill out of Cauterets as if we hadn’t just been running over mountains for the past twelve days! 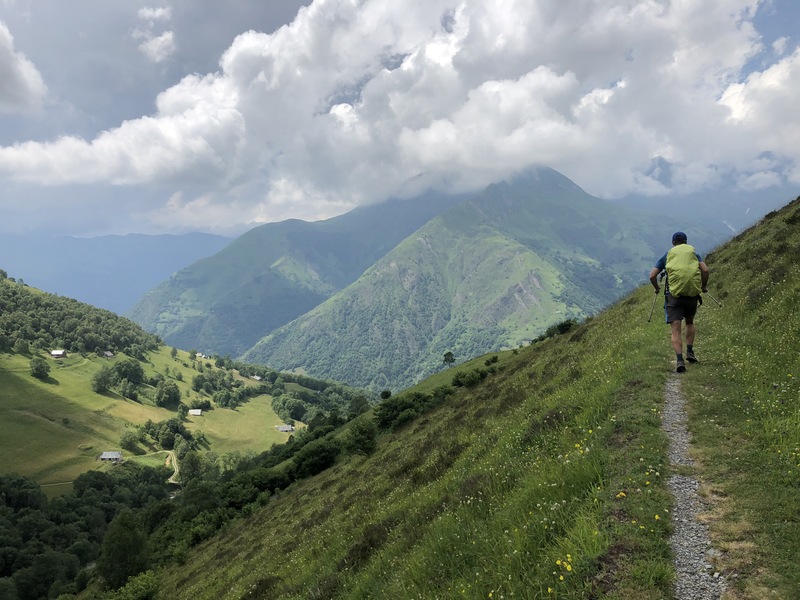 Zig-zagging up to Col de Riou (thanks to everyone who translated – we now know a Col is a pass! 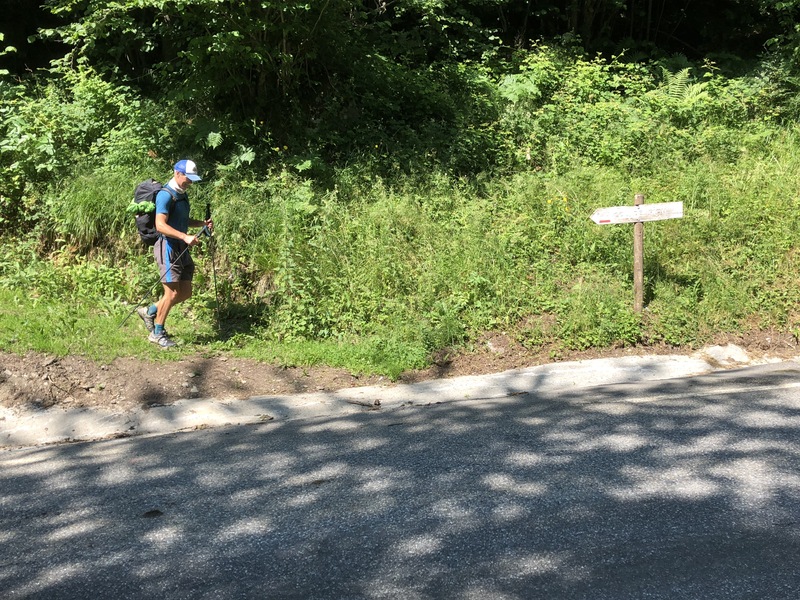 though we had our suspicions…), we took a sneaky look at the elevation profile and decided to run all the way down the hill to Luz-St-Sauveur on the road. That meant pretty much ignoring the book and the trail markers and finding some flow. 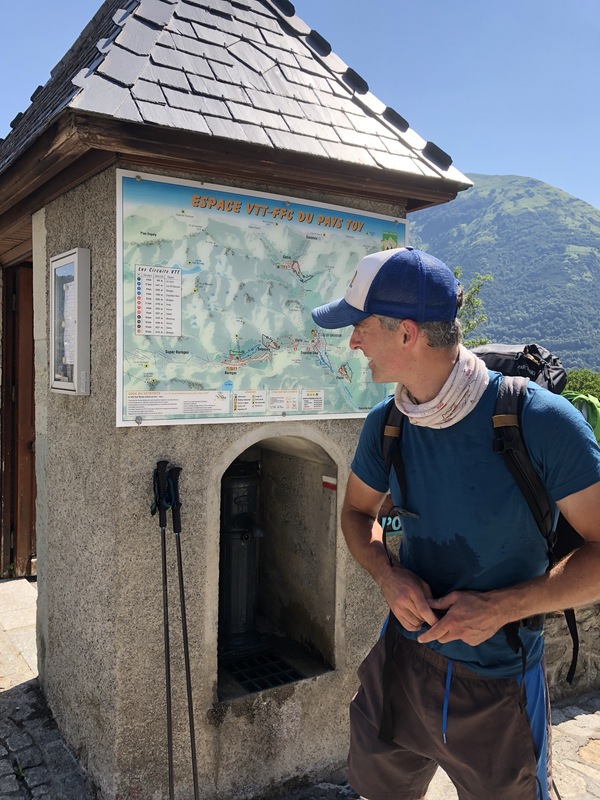 Look, we love the GR10 but sometimes the trail takes us on an annoyingly convoluted route into towns. On a good day, the trail takes us cursing and tripping through paddocks with cow dung and the perpetrators slowing us down. On a bad day, we battle through nettles and overgrown meadows where the grass tickles our faces and we only know we’re on the right trail when we fall off it. Today, we’d had enough. 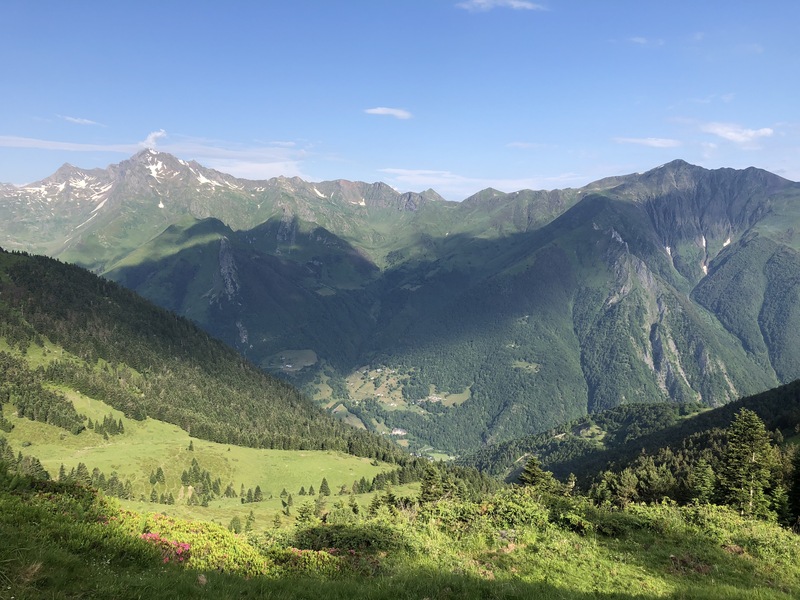 We could see the cyclists huffing and puffing up, pretending they’re in the Tour de France, and knew the road would get us to where we wanted to be. So we did what we came here to do: we ran. We hit the town in record time and devoured a chocolate and pistachio ice-cream as a reward. But our day was far from over. 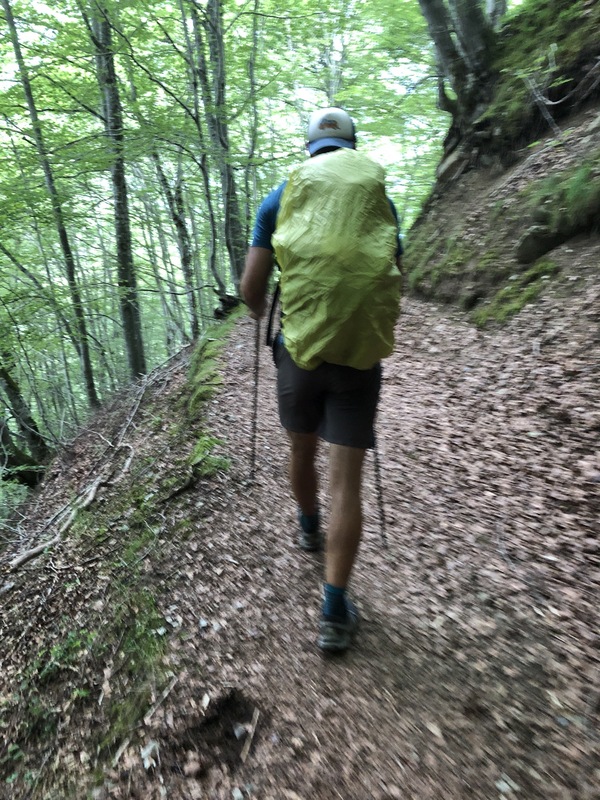 To get to Bareges, we first had to climb up and out the other side of Luz through the most overgrown trails yet, sidle along an aqueduct, through some fields and down into a forest. This was the least spectacular section of the trail so far, not helped by the fact that nobody seems to have bothered to maintain it since the GR10 began. Rumbles of thunder helped us speed along, though, and by 5pm, we found a campsite in Bareges to pitch our tent and wash away the day.